The Axcess Editor provides a Form element that allows you to create surveys, contact forms, and more. 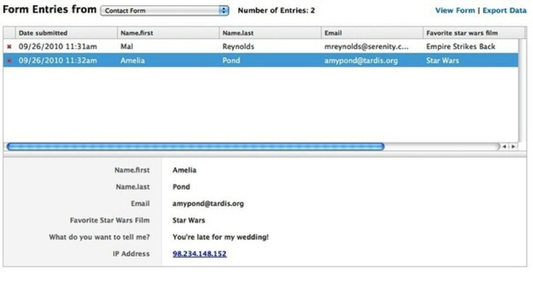 Fields such as checkboxes, drop-down menus, and file uploaders can be integrated into your forms very easily to allow you to collect whatever information you would like from your visitors. We'll start by creating a simple contact form. 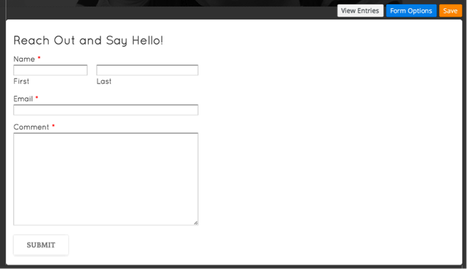 A contact form provides visitors to your site an easy way to reach out to you. You can ask a visitor for something as simple as their name and email address, or set up a full-on survey to ask them any number of questions. You can create as many forms as you like, either way. Get started by dragging the Contact Form element to a page. The form starts with three default fields and a title; the purpose of each default field (Name, Email, and Comment) is fairly self-explanatory. These fields are set as required (meaning the recipient must enter something in the field to submit the form) by default. But this is very easy to change just by clicking on a field and using the toolbar to make adjustments. A number of settings can be altered for each field; these settings can be accessed simply by clicking on the field to open its toolbox. You can also delete a field by clicking the "x" that appears in the upper right of the field. 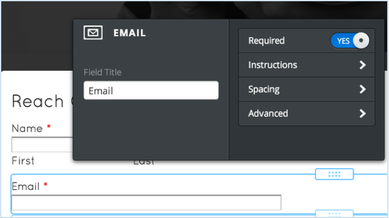 You can also quite easily add new fields to the form by dragging them on just like any other element. There are preset fields for Name, Email Address, Postal Address, and Phone Number. 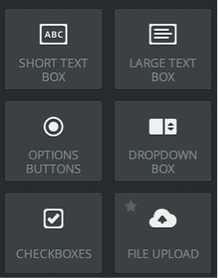 And generic Short and Large Text Box Fields (allowing you to create a field asking for any info you want), Options Buttons, Dropdown Boxes, and Checkboxes to create survey style questions, and a File Upload field that allows the person filling out the form to send you a file of any kind. Before you complete your form and Publish your site, you'll also want to give the form a name (for your own reference) and determine to which email address (or addresses) you want form submissions to be sent. You can enter more than one address by separating them with commas. You'll also want to decide whether you want to display confirmation text directly on the same page when the form is submitted, or if you'd rather redirect visitors to another page on your site after the form is submitted. 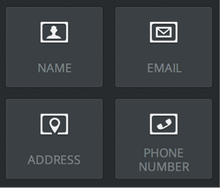 Note that you can find these settings by using the Form Options button at the top of the form. Replies to your form will go to the email addresses you entered under Form Options and are also archived to a Form Entries section of your account. 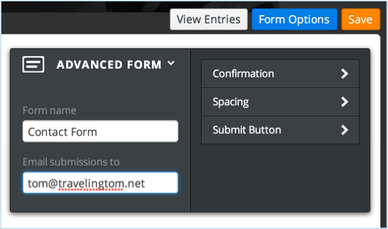 Form Entries can be accessed under Form Entries tab on the main dashboard of your site. If you have more than one form connected to your site, then you can flip through the different forms using the Form Entries drop-down at the top of the page.